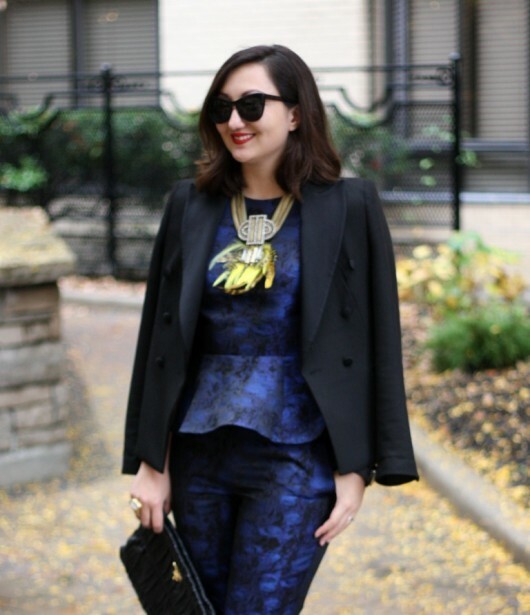 I’ve been saving this brocade peplum suit from H&M for a special occasion, and last week’s Day 1 of Toronto Fashion Week was just special enough for me to bust out my blue suedesuit. I get that it’s H&M, and for some of you, probably not all that special, but if you’ve been reading this site long enough, you know that for me, it’s not always about the labels. 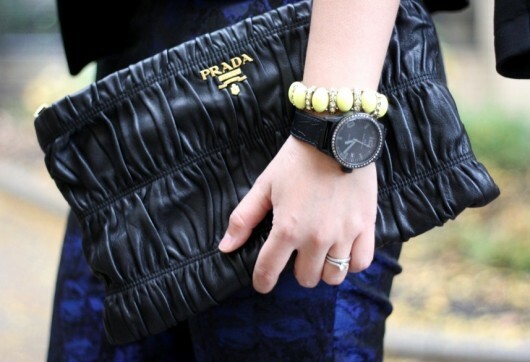 Yes, I love my Chanel and Prada…but I’m also majorly addicted to H&M. So in my eyes, this suit is without a doubt something special. 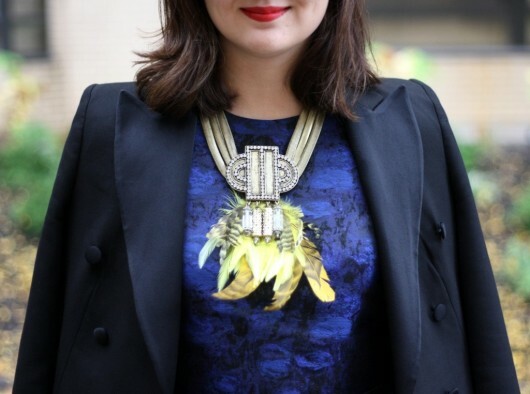 I also wore my latest necklace from LOFT…which opens this month to Yorkdale Shopping Centre, and I couldn’t be more excited! One more option for awesome office separates, beautiful jewelry, and shoes? Yes, please!